While the specific aims and intent can be virtually limitless the subtext is that we will become more disciplined and improve on the current version of who we are. Despite that fact that each resolution, no matter what it is, will have both of these aims in mind, by their very nature some will have a heavier bias towards one and some towards the other. Clearly, despite our best intentions, putting a list of changes together and setting a fixed date (i.e. the new year) when they will be activated is a leap too far. Regardless, 88% of us will fail. In 2007 Richard Wiseman, professor of psychology at the University of Hertfordshire in England, tracked 3000 individuals as they struggled with their New Year resolutions. Despite their determination, the study revealed that 12 months later just 12% had made good on what they had set out to do. The rate of failure is sufficiently high to make us realize that the fault lies in the method rather than the individual. Clearly, despite our best intentions, putting a list of changes together and setting a fixed date (i.e. the new year) when they will be activated is a leap too far. While the gap in time between the moment of failure (usually within the first eight weeks of the new year) and the following year is far enough for most of us to attempt to redo it, thinking that perhaps we just weren’t disciplined enough, the truth is that we just need to do things differently. In order to understand just what it is that we must change we need to have at least some idea of why we are failing. If we couch resolution making in terms that a business person could understand, we attempt to go from startup to global business with next to zero budget, no consultants and zero peers. We have no successful model to follow. Our extrapolations are based on hope instead of fact and we are totally unprepared for the difficulties that we will meet. Even more irrationally we do this every year at the exact same time. Is it any wonder that we fail? The reason we’re prepared to try at all is because when it comes to our abilities we all suffer from the cognitive bias of illusory superiority. We actually think we will succeed despite having failed before and learnt nothing from the failure because we are prepared to ascribe that failure to all sorts of external causes. The same cognitive bias makes us confident that we will succeed where other people failed because we believe that our will power and discipline are stronger and better than those of most other people. So, How Do We Succeed? Knowing why we fail provides a framework for success. 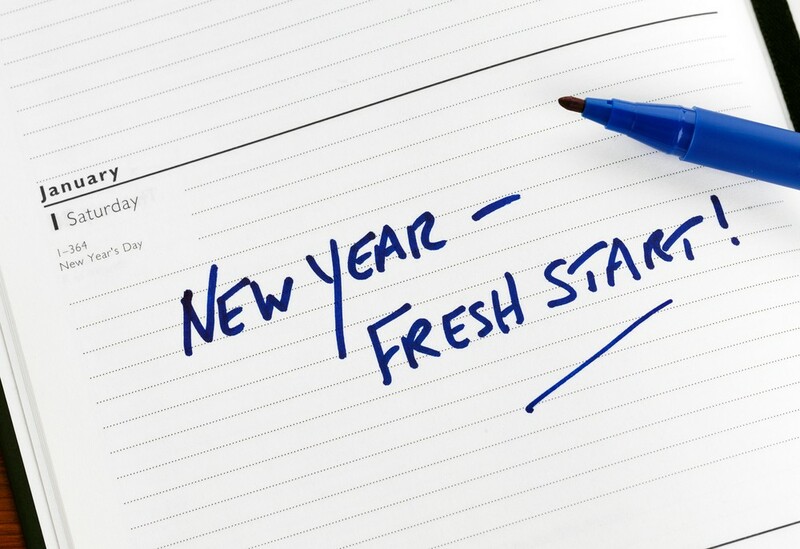 Resolutions constitute change and change needs to be managed if we want it to stick. Set an achievable goal that’s realistic within the time frame we have (12 months but it’s the first two that actually are the most important if it’s to stick). Plan its execution in detail and factor in those moments when you will falter and figure out how you’re going to deal with them. Break it down into small, manageable steps and set about executing them in a consistent, sustainable fashion. Keep the degree of change (and disruption) you’re aiming for, to its absolute minimal. Find support for what you propose to do. (If you’re thinking of losing weight, join a support group. If you want to get fitter think about training with a friend or joining a club where the social encouragement helps you stay focused). Keep track of everything you do in executing your resolution and reassess your progress every week. Make sure you understand why you want to change and truly, really want to. My latest book: The Sniper Mind: Eliminate Fear, Deal with Uncertainty, and Make Better Decisions is a neuroscientific study into how to apply practical steps for better decision making.